Urinary incontinence is the accidental release of urine or leaking urine. It can happen when you cough, laugh, sneeze, or jog. Or you may have a sudden need to go to the bathroom but cannot get there in time. Bladder control problems are very common, especially among women. They usually do not cause major health problems, but they can be embarrassing. Incontinence can be a short-term problem caused by a urinary tract infection, a medication, or constipation. In these situations, it gets better when you treat the problem that is causing it. 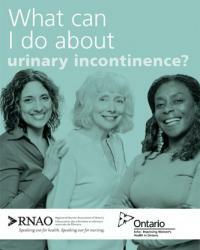 This decision aid focuses on the problem of ongoing urinary incontinence. 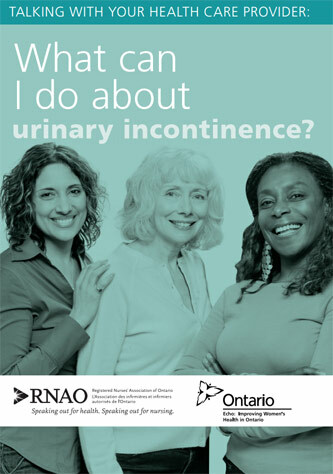 Incontinence is often treatable but most women who have incontinence suffer in silence as they do not seek help and health care providers do not regularly ask women about their bladders.